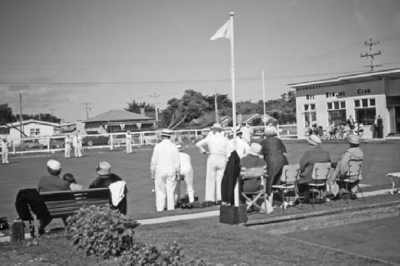 As many Rye residents were members of Sorrento bowling club, they felt that it was time Rye had its own Bowling Club, so a public meeting was held on 28th. November 1958, this resulted in a committee being formed, to oversee the construction work & recruitment of foundation members. The Flinders Shire Council provided the land under lease & some money and the members provided much voluntary toil to bring the dream into fruition on Opening Day, 24th. September 1960. Over the next 3 decades many improvements were made to facilitate members’ enjoyment of this wonderful Sporting and Social Club. For a full history of the Club to 2008 please download this pdf on the Rye Bowls Club History (2mb).